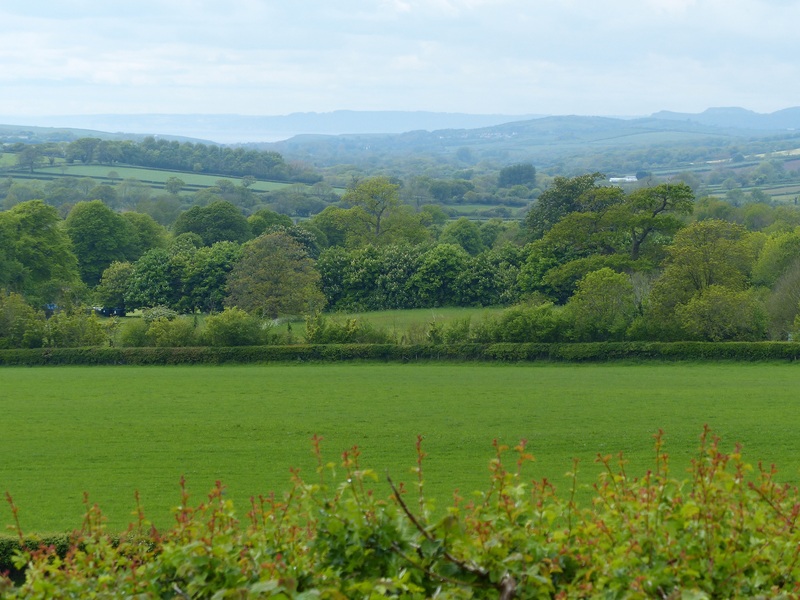 Oh The Rolling Hills of Dorset – Run. Ride. Roam. Well, after a lovely sunny day of riding yesterday, what were we greeted with this morning? Rain! It started before we left, so we once again packed up the tent and all our gear while the rain came down, dressed in our fashionable “slicks” for head to toe waterproofness and set off on the day’s ride. We had sat around for a while, hoping the rain might ease before we packed up, but it wasn’t to be, so we ended up leaving later than we usually would. Looking thrilled to be backs in slicks again! 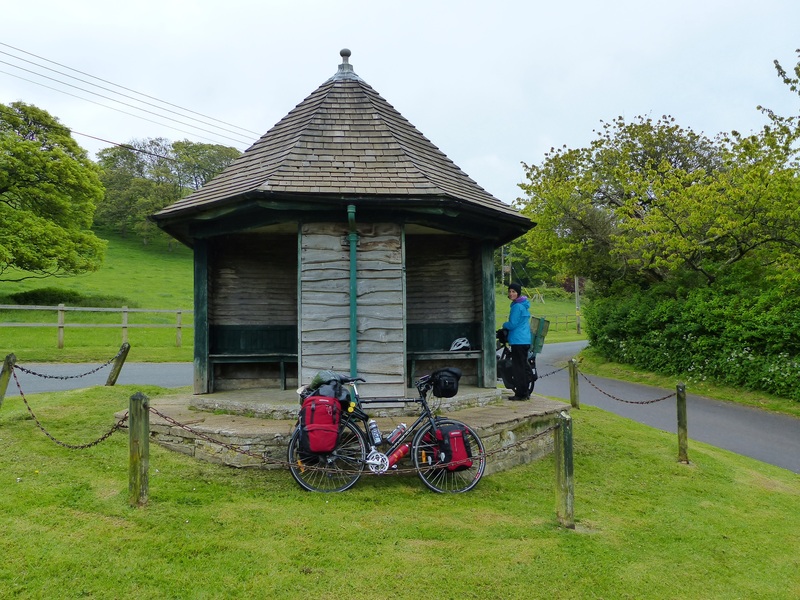 We pedalled off towards Dorchester and stopped on a bench for a quick elevenses and watched people coming and going. They looked so warm and dry! They looked like they were heading home to a nice heater or a fire and a cup of tea or hot chocolate and I sat there feeling quite wet and quite cold and just watched them with a tinge of envy! “It’s a bit of a slog!” I said. He asked where we were heading and I told him we were heading north of Bridport today, but we’d been on the road for three months and were heading all around Europe and the UK. He thought that was fantastic and we chatted for a while, him gliding up the hill on his nice light, state of the art road bike and myself, trying to hold a conversation between gasps and puffs as I churned the gears and pedals up that monster hill! He left me with a “Good luck!” and sped past me up the remainder of the hill, giving Steve a passing “Well done,” as he cruised past. We stopped for lunch at the top of a hill, where we found a wooden three-sided shelter that looked across the green hills, so it gave us a nice view and some much appreciated shelter from the water pelting down on us from above. The plaque on the shelter said it was a gift from a couple on their silver wedding anniversary in 1933! How lovely. As we sat there I couldn’t stop the full body, head to toe shivering again. The downside of climbing lots and lots of hills, apart from it being an effort, is getting all hot and sweaty with the effort and then cooling down. My clothes were absolutely saturated and I was much wetter on the inside than the outside. I wear merino base layers, that are supposed to be the best for wicking, but I end up saturated and it doesn’t matter how many other layers I put on top, it doesn’t warm me up because my inner layers are soaking wet and when we stop or the wind picks up, I get completely chilled to the bone. After lunch we set off again and I couldn’t take it anymore. We pulled over to the side of the road and I took layers of clothes off and just did a quick change act, there on the road and put on some dry layers. I did feel a bit better after that. The rain stayed with us all day and the hills stayed with us all day, neither of them let up and they were our constant companion! The ride was still really pretty and our other companions, which were much nicer, were the lanes and hedgerows and oak trees and farmland…just gorgeous. We often had to stop on the narrow roads to let cars go past, but the drivers have been brilliant. They stay behind us and crawl along and don’t try and whizz past us on the narrow roads, we pull over as soon as we can and they give us a wave of thanks and carefully go around us. Along one road, I could see a couple of tractors up ahead and called to Steve in front, “Pull over for the tractors.” We found a driveway and stopped to give them lots of room to go past and as they approached, we could see something in the front-end-loader of the lead tractor. As it came closer, what do you think that tractor was carrying?! A bride and groom! Yep, the bride was sitting there in a basket on the front forks of the tractor, in all her ivory satin and lace beauty and the groom was standing beside her, looking like he was having an absolute ball! When he saw us, and Steve with the camera out taking their photo, he called, “Hey oop, here we go, HAPPY DAYS! !” and waved and cheered to us as they went past! They were followed by the tractor carrying the wedding party, who were being transported in something that resembled a small train carriage on the back of the tractor. The fellas were hanging off the back and the bridesmaids were inside, in their lavender, puffy sleeved dresses, looking out the window of the little metal box they were in. They weren’t smiling! Oh, what a brilliant thing to have seen. 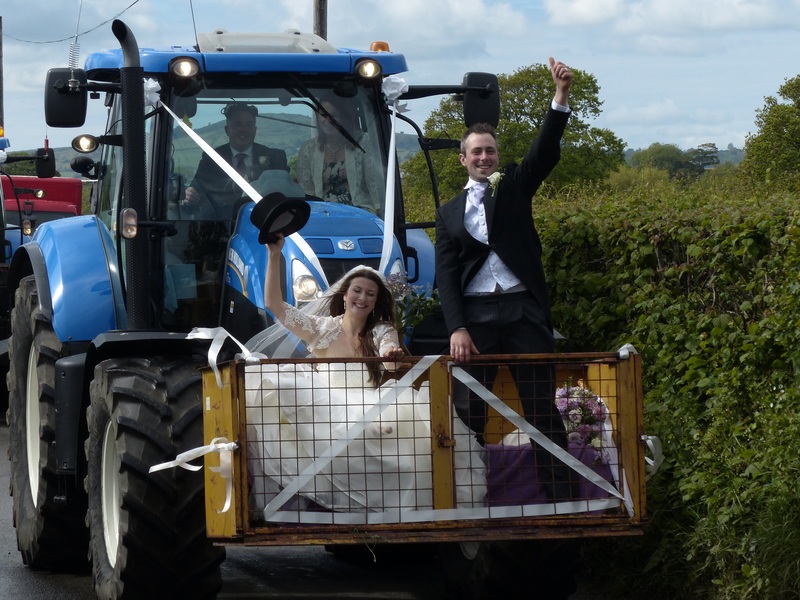 What a country wedding that must be, with the wedding party turning up on tractors! How simply excellent! “Oh that’s alright,” I said. I mean, it was her village and it was obviously a sleepy one, so why shouldn’t she walk up the middle of the road. It was us, the strange and unexpected two-wheeled interlopers that were upsetting the general run of things! What a nice lady though! As we approached our destination campsite at about 4:30, the sun had made an appearance through the clouds and the rain had stopped, making the road steam and everything become very muggy. We finally rolled into our campsite, very wet, very dishevelled and very scruffy after 58km of riding and were greeted at the gate by the owner, who directed us to where we could pitch. The campsite was really just a field, with a couple of toilets and a shower, but we found a nice spot beside an oak tree. The lady pointed across the field to a hill and said, “That’s the highest point in Dorset!” We looked across at it and really, it wasn’t a whole lot higher from the point at which we were standing! We’d just about climbed as high as the highest point in Dorset, with all our hill pedalling that day! I finished the day with an awesome shower! It wasn’t one of those annoying push button timer ones, where the water stops after eight seconds and needs to be constantly pushed to start the water again. Oh no, this one was a ridgy didge, domestic, proper, turn the tap and it runs type shower with hot water and soft flowing water and it was AWESOME!! See what our lives are reduced to! See the things we appreciate now! The style and temperature of a shower means so much! It was a tough day, with the rain and the hills, but it was still a nice, scenic, pretty ride in a beautiful part of the world! We got off to an early start this morning and decided we wouldn’t have any particular destination in mind, despite the potential difficulties finding accommodation during the busy bank holiday weekend. We thought we’d just ride until we felt like stopping and try our luck wherever we happened to be. Within a few minutes of beginning the ride, we were greeted with our first HILL!! Even before the legs or lungs had warmed up, we were into it, huffing and puffing and trying to pedal up some mega hills. I mean, these hills were mega! They didn’t let up again, they were constant and very very steep. These hills were as steep as any we’ve had so far and some were steeper than any in Portugal, Spain or France. They were the sort of hills again, where we were slogging away and it would look like it was flattening out and then we’d go around the corner and instead it would keep going, only steeper, with a steep, banking corner. Steve was reading the gradients on his GPS as we went and they were nearly all double digit gradients, some 14% and more. I have to say though, even though these were really tough hills and hard to get up, they didn’t bother me as much as the hills in the other countries. I don’t know if it’s just an attitude thing, because I’m loving where we are, or if it’s because we were cycling them on such nice quiet country roads, so we didn’t have traffic zipping past us at the same time. I don’t know what it was, but it all seemed a lot more bearable! There was one other downside though and I learnt something as a result. I learnt…stinging nettles REALLY sting! Steve was riding in shorts and I was riding in 3/4 trousers so my lower legs were bare (the day started in sunshine!) and as I pulled over to the side of the narrow road to let cars go past, I couldn’t avoid putting my foot down in all the stinging nettles that lined the roads. They sting and the spot where they’ve stung, keeps buzzing and stinging all day! 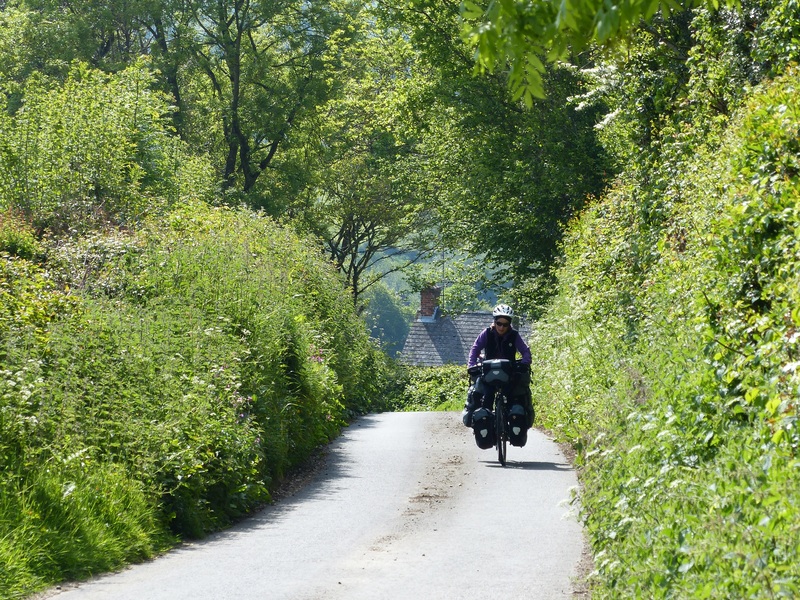 We were riding towards the town of Axminster, where we would stop for Steve to find some food for the road and as we approached an intersection that would take us into the town, there was yet another doozy of a hill leading up to it. We stopped at the bottom and we could see a couple of road cyclists stopped at the top. Oh no, an audience for our huffing and puffing! Oh well, nothing for it but to gun it! Off I went, I passed Steve who needed to fix a slipped chain and I cranked the gears down low and heaved myself and the little bike up that hill, determined not to stop while there were people watching! Oh the perils of ego! As I neared the top, the cyclists started clapping. “It’s too early in the morning for this!” I said with a laugh. They gave a laugh too and said, “Well done!” We were supposed to turn right at the top, but I wasn’t going to try and slow wobble across the road, so I just headed left and stopped, ready to turn around and go in the direction I was supposed to. As I turned around, Steve had struck up a conversation with the two fellow cyclists. What two super nice men they were. They introduced themselves as Phil and Phil and we chatted about our trip. One Phil, who was Welsh, then gave us some great tips and advice for places to go in Wales and they both gave us some excellent first-hand knowledge of certain places along the English coast where we would find vertical hills, in case we chose to dodge those areas! They were triathletes and had done Ironman races too and it was just delightful, standing on the edge of the road, talking to these nice fellas and being helped out so much too, with useful advice and information. We finally shook hands, said ta-ta and they wished us luck. Another unexpected, but super encounter with more lovely, friendly people! “I’m just trying to find a spot where we can keep an eye on both bikes from inside,” I explained. 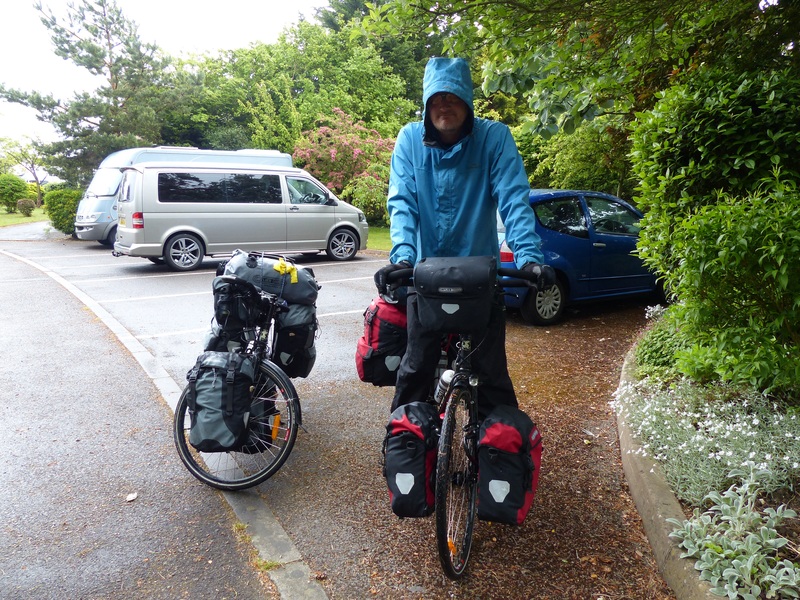 “I did a similar thing as you, but without quite as much load, when I cycled around Canada,” the man said. We both had a laugh at that, “I know how that feels!” I said. So Steve and I sat in the warmth of the tea room drinking tea and coffee and snacking on toast and tea cakes, while those lovely people outside let it happen, by watching our bikes and all the gear. Honestly, I’ll keep saying it, but some of the highlights of this trip have just been the people we’ve come across and how friendly and utterly delightful they’ve been. 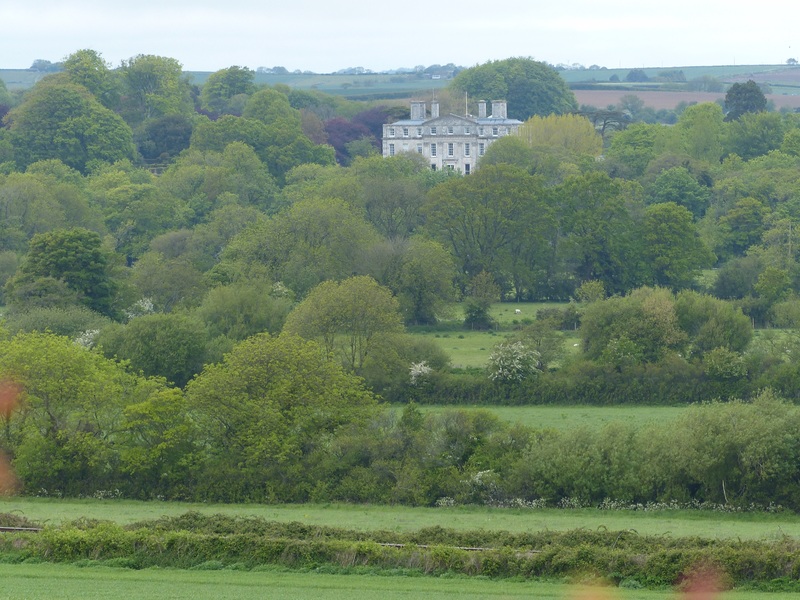 We eventually headed out of Axminster in the general direction of Seaton, heading for the coast. The cycle route took us along some fantastic off-road paths, through trees, which was lovely. It’s also continued to take us up some absolutely monstrous hills! 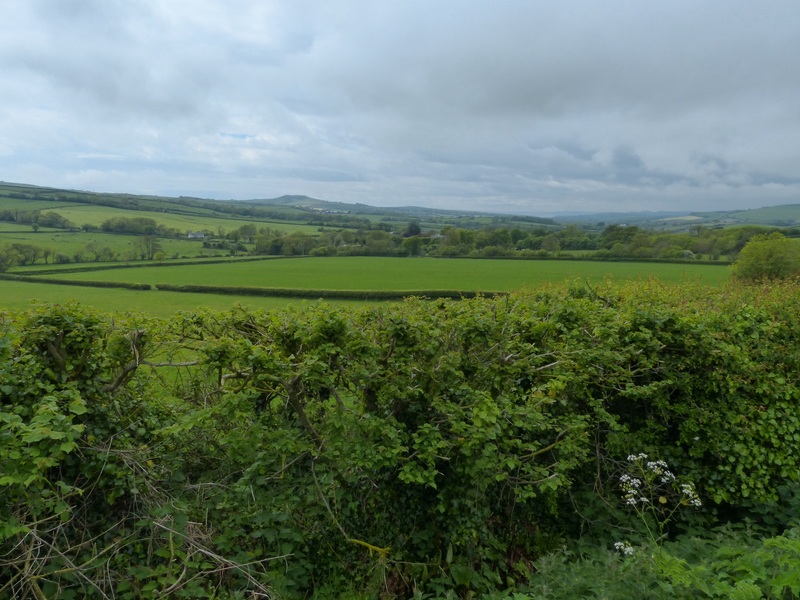 We crossed over counties and continued on, now in the county of Devon, which also had many, many, many hills! They didn’t stop! “I’m over the hills!” cried Steve. Yes, they were tough! Still, I said to him, I wasn’t finding them as mean as the others in the other countries though. They were really hard, but the location and scenery seemed to compensate and I could put up with the hard slog because of that. 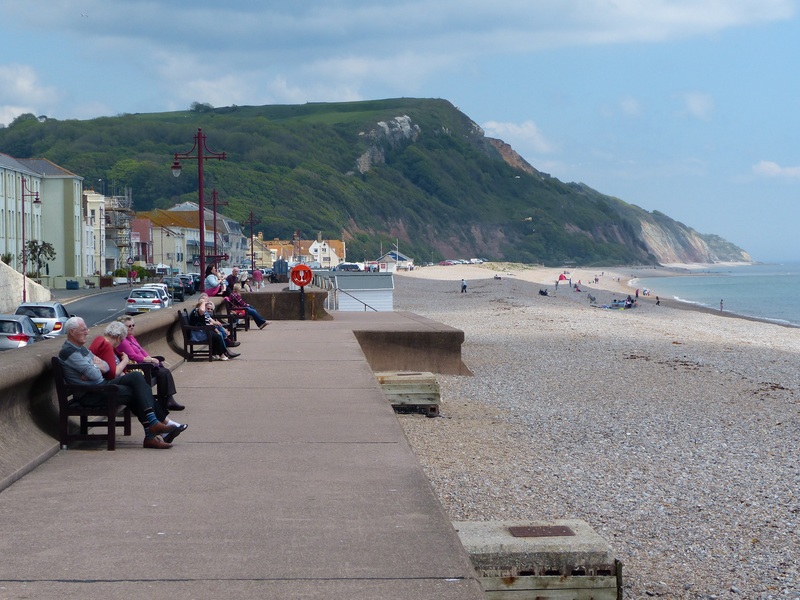 We rolled into Seaton, a town right on the coast and it was busy with visitors for the bank holiday weekend. 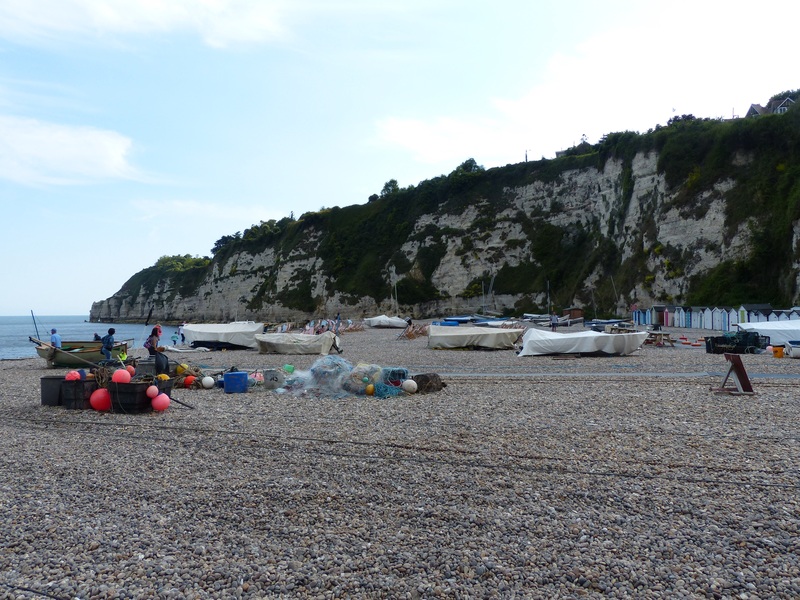 We sat on a bench beside the pebbly beach to have our lunch and begin to look up some possible campsites to stay. As we sat there, a couple walked past and the man asked where we’d come from. We told him and told him briefly about our trip and that we were from Tasmania. There began a conversation that can only be described as entertaining and such good value! The man continued telling us about places and the history of the area. Then his wife would say, “Reginald!” and tap her watch. “Yeah, in a minute,” Reginald would reply and continue to tell us about places in Australia they’d been and places in the local area. “We’re going to Cairns soon,” his wife said. “We are,” said Reginald and began to tell us about the sharks and stingers in Australia. “Reginaaaalllld!” said his wife, obviously now quite in need of lunch. “He does love to talk!” she said. “In a minute,” he replied and continued chatting. “They probably know all this!” she said. His hungry wife soon managed to pull Reginald away and they wished us luck on our trip. “Sorry for being boring,” Reginald said as they walked away. “Oh no, not at all!” we replied emphatically, “thank you for the chat, it was wonderful and so nice to meet you,” because it was! It was a fantastic conversation and his stories and knowledge were fascinating and it was another splendid encounter with wonderful people. I just loved it! We decided to head off and see what campsites we could find along the way. 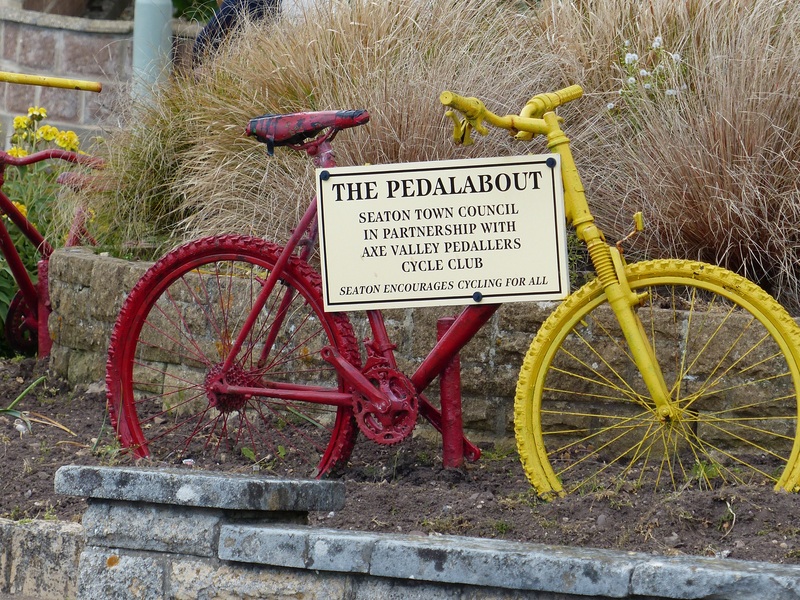 As we rode up, up, up out of Seaton, we came to the top of the hill that looked down over the village of Beer. There was a campsite down there, so we wheeled down the hill to have a look. 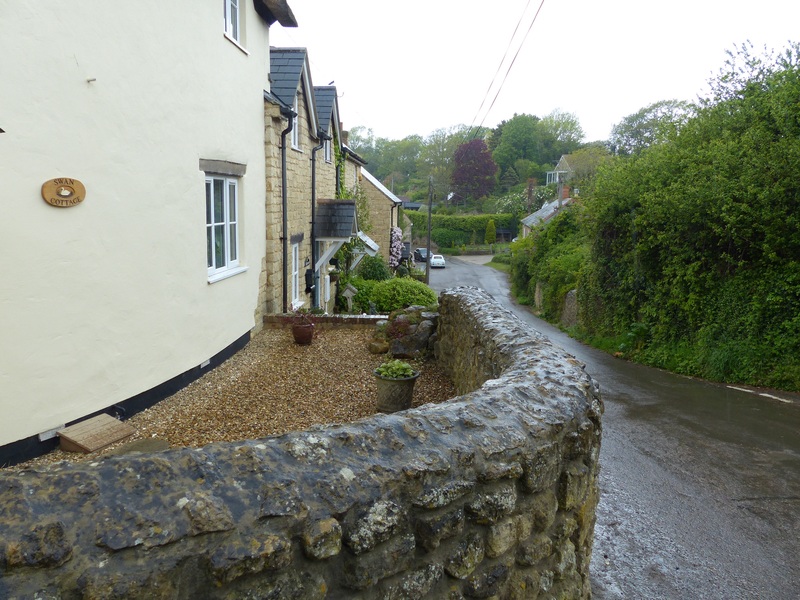 As we zipped down the hill, my first thought was, ‘oh no, we’re going to have to climb back up this at some point!’ My second thought, as we rounded the corner into the village was ‘I really hope they have a place for us because I absolutely love it!’ The village was just gorgeous! 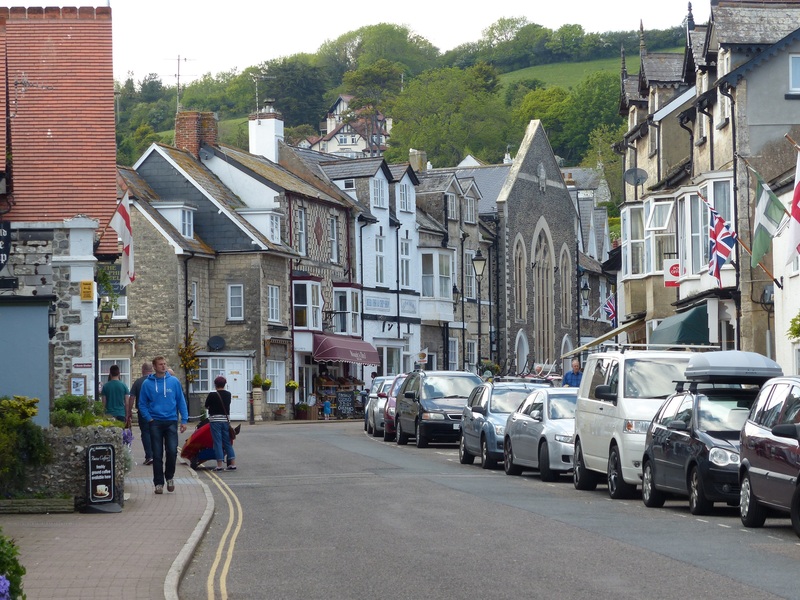 Beautiful little streets, charming rows of shops, and the beach at the end of the village. We headed towards the site of the camp and rounded a corner, at which point these words, audibly left my lips…“Oh jeepers!” There in front of us, was an unbelievably steep street leading all the way to the campsite that was perched right on the top of the hill. There were lots of holidaymakers walking down the hill into the village and the hill was so steep, they were leaning back as they walked down, so as to combat gravity! OK, here we go, let’s get up this thing! Off we went, with the people walking past giving us a smile or a “well done” or a “keep going”. In the end Steve got off and pushed the bike. I had to stop a couple of times for a breather, but I kept on pedalling because I still find it’s easier to pedal all that weight up a hill that it is to push it up. When we got to the top, a man walking past said, “You’re still pedalling! Good girl!” I’d actually had a couple of people in my corner during the ride today! As we rode up one hill earlier in the day, we went past a driveway and a man standing there said to Steve, “Come on, pedal faster” then pointed at me and said, “she’s doing all the work!” Then as we rode into a village, a man walking past said to me,”You’ve got the bigger load!” Lovely, encouraging people! When we finally made it up the hill and into the campsite, they did indeed have a pitch for us and what a pitch it is! 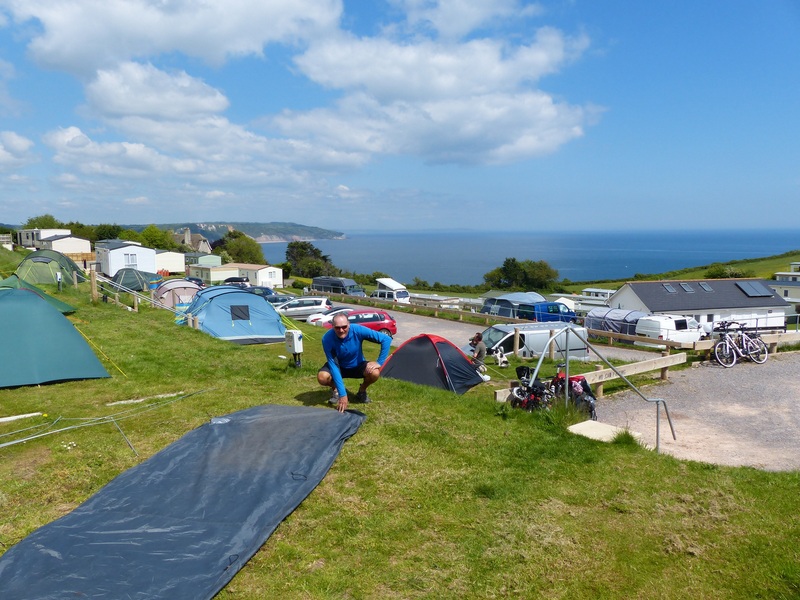 The camping area is tiered and we’re on the top tier with spectacular views over the ocean and the cliffs. It’s absolutely spectacular! We pitched the tent and had a cuppa and looked out at our million dollar view that we had just acquired for £16 and decided there and then on the spot to stay here for two nights instead of just the one! 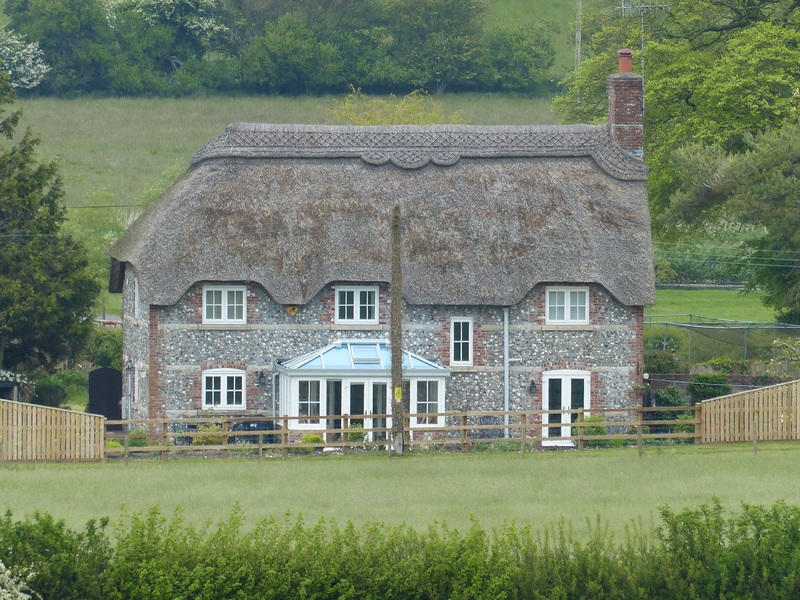 Not only would it save the logistical trickiness of finding somewhere else on the road during this busy long weekend, but what a top spot to stay for a couple of days! Perfect! We went for a stroll around the village and I don’t know how many times I said to Steve, “It’s just beautiful…it’s just gorgeous…isn’t it just perfect…have I said it’s just beautiful..isn’t it just wonderful…” It’s a gorgeous place, a charming little village, a beautiful spot with the small beach and all the fishing boats sitting on the pebbles and the green hills and cliffs surrounding everything. It’s beyond superlatives! I love it a thousand times over! So that was the day! A shorter ride in the end of only 33km but most of that distance was straight up! We now have a spot that is spectacular in a village that’s gorgeous, so the tough riding has been so completely worth it! 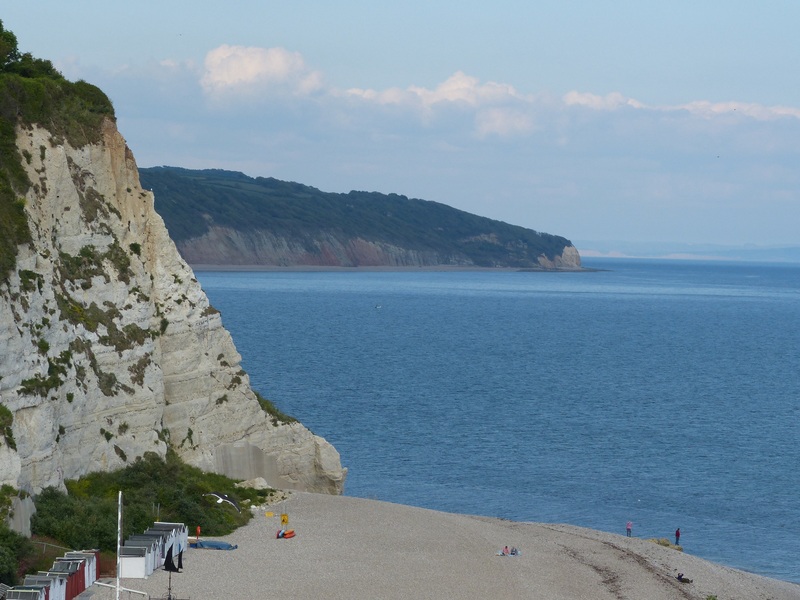 We have a day to ourselves tomorrow to walk across the green fields beside us, where there are cliff top walking paths, we can walk along the coastal paths to the towns either side of us, we can stroll through the village or have a relaxing Sunday on the beach. What, I ask you, could possibly be better?! We just hope it doesn’t rain! What a top day! What a top spot! Hills and rain are forgotten…this is the life! Thank you, that’s good to know! In fact when we arrived at the campsite I saw a little boy sitting and rubbing his leg with a leaf and wondered what he was doing, then later I heard him telling his friends he’d fallen in some stinging nettles, so I guess that’s what he was doing – the dock leaf treatment!